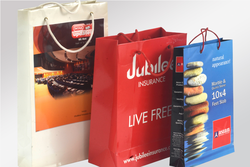 Our service range includes a wide range of customized paper bag printing and carry bag printing service. Printing Details C M Y K, Pantone Color Printing. 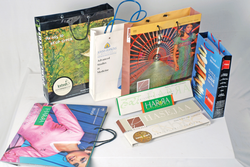 Paper Bag Printing Service offered comes with choice of two side coated and glossy laminated options as per the specific requirements of the customers. Here, the in-depth process knowledge and modern machinery support available at our end allows us to deliver these bags in various sizes and designs. We ensure the end solutions offered are attractively yet aesthetically designed to match up with the demands of attractive packaging demands of customers. Our team can offer printing support on bags of different shapes and sizes as well as in single/multi-color choices. Looking for Paper Bag Printing Service ?